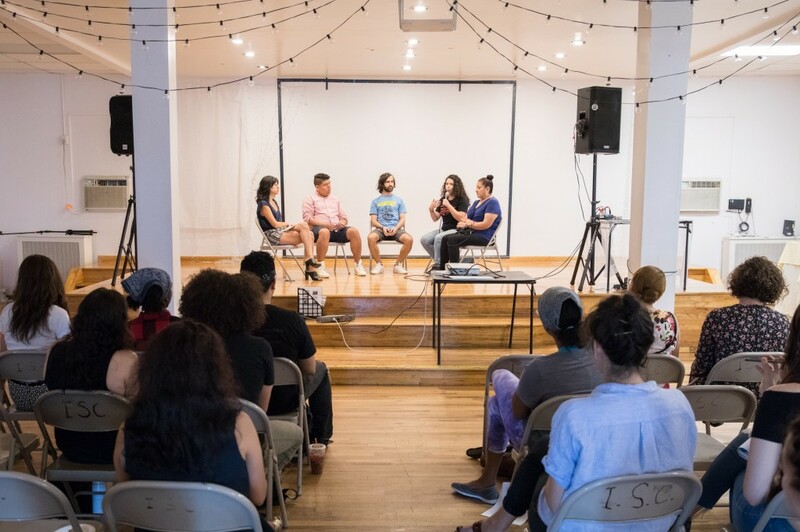 “Bushwick Love Letter” is an oral history and community art program that used place-based storytelling to bring together neighbors and resist gentrification in Bushwick during summer 2018. 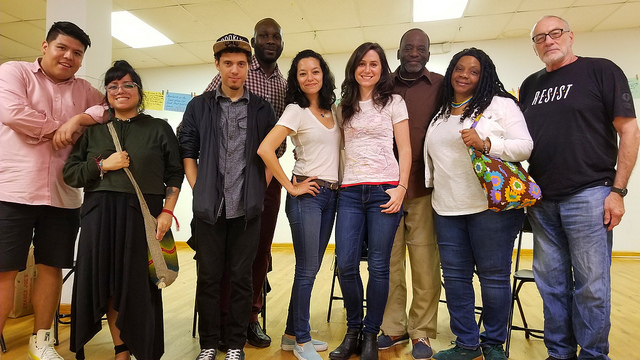 “Bushwick Love Letter” is an oral history and community art program that uses localized storytelling to bring together neighbors in the rapidly gentrifying neighborhood of Bushwick. By gathering stories and organizing performances that spotlight the long-time community’s love and concerns for Bushwick, “Bushwick Love Letter” aims to strengthen connections between neighbors, resist erosion of local history and culture, and support local organizing efforts around gentrification, displacement, tenant protections, and housing activism. 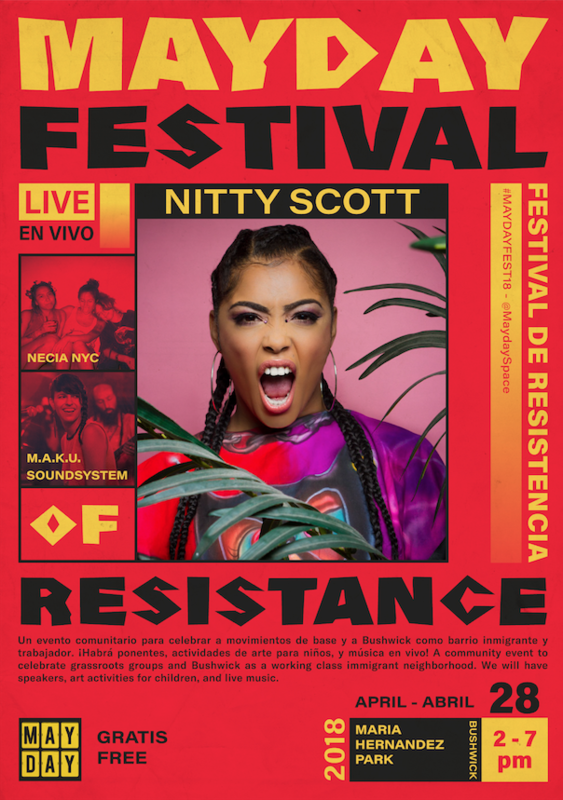 The Five Boro Story Project is excited to be part of Mayday Space‘s third annual MayDay Festival of Resistance, a free outdoor concert in Maria Hernandez Park. Stop by our “Bushwick Love Letter” station to write a love note to Bushwick, record your neighborhood memories, share your hopes and concerns for the neighborhood, and swap stories with neighbors! 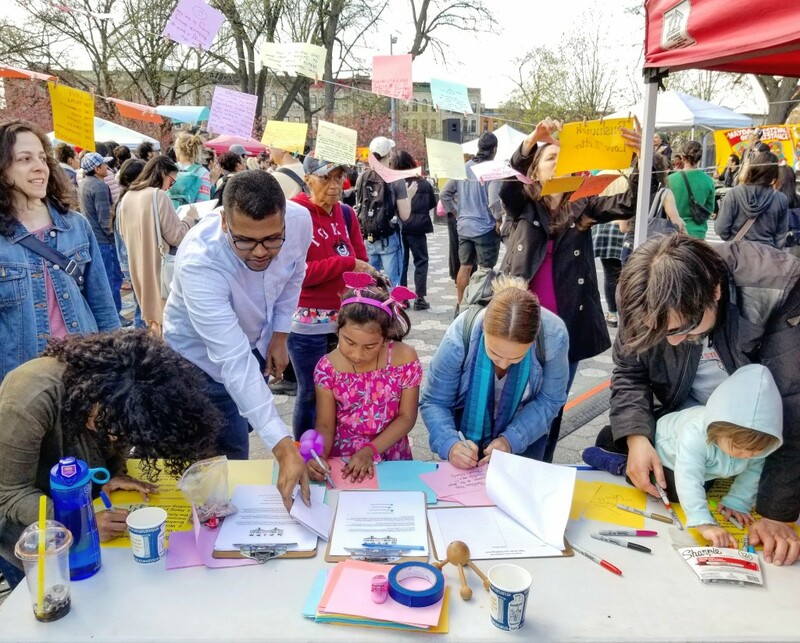 The community’s love notes, drawings, and other writing will be displayed in the park during the festival, composing an interactive ode to Bushwick. Plus enjoy the musical stylings of DJ Sabine Blaizin, and kid-friendly art making activities, face painting, and a photo booth! DIRECTIONS: Maria Hernandez Park stretches from Knickerbocker Avenue to Irving Avenue, and Starr Street to Suydam Street. It’s a block from the L train at Jefferson Street, and near the M train at Central Avenue. In case of rain, the concert will be held inside Mayday Space nearby (176 St Nicholas Avenue, a short walk from Maria Hernandez Park). View more photos from “Bushwick Love Letter” at Mayday Festival HERE. Meet neighbors, share a meal, and tell us about your Bushwick experiences in our story circle. What places in Bushwick are most meaningful to you? How have you been affected by rising rents? When do you feel a sense of belonging in your neighborhood? This workshop is an evening for meaningful conversations with neighbors, and connecting to local resources to fight gentrification. Plus read neighborhood love notes and write your own ode to Bushwick at our Bushwick Love Note station. This is a free workshop. Food will be provided, and you are encouraged to bring something to share for the potluck. Donations to Mayday Space will be appreciated. Mayday Space is located at 176 St Nicholas Ave in Bushwick, Brooklyn. Take the L train to Dekalb, exit at the intersection of Wyckoff Ave and Stanhope St, walk against traffic on Stanhope and take a right one block up at St. Nicholas Ave.
View more photos from “Bushwick Love Letter” Story Circle & Potluck HERE. 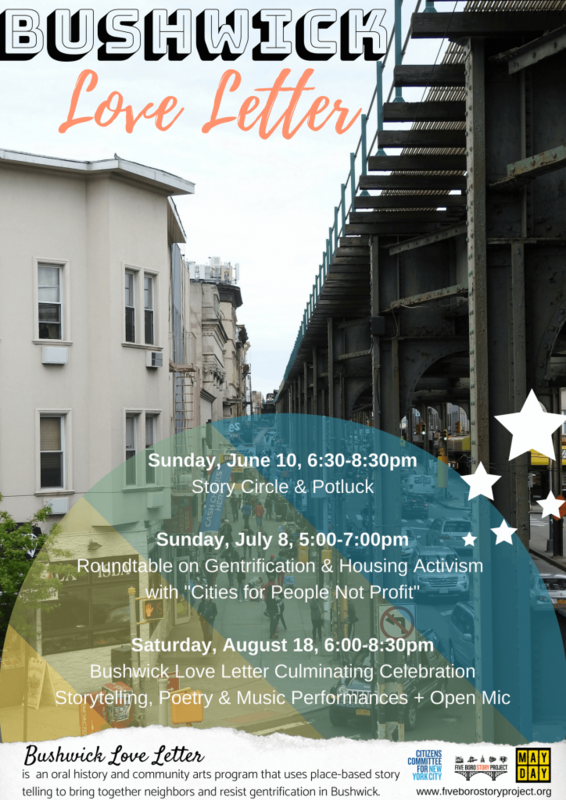 Join us for a roundtable discussion on gentrification and housing activism in Bushwick featuring local artists, activists, and community residents who participated in the Cities for People, Not for Profit oral history project, and learn about resources for resisting gentrification and displacement. From 2014-2016 oral historian Cynthia Tobar met with notable Bushwick residents and conducted interviews for “Cities for People, Not for Profit” that traced the history of ongoing gentrification and the fight for affordable housing in Bushwick. This roundtable will bring together some of the narrators and community members to hear updates on how gentrification in Bushwick has progressed in the past few years, discuss the struggle to remain in our neighborhoods, and how to plug into local actions. Moderated by Cynthia Tobar, the roundtable will include Josh Carrera, Julián Gomez, Gladys Puglla, and Ariella Riapos. 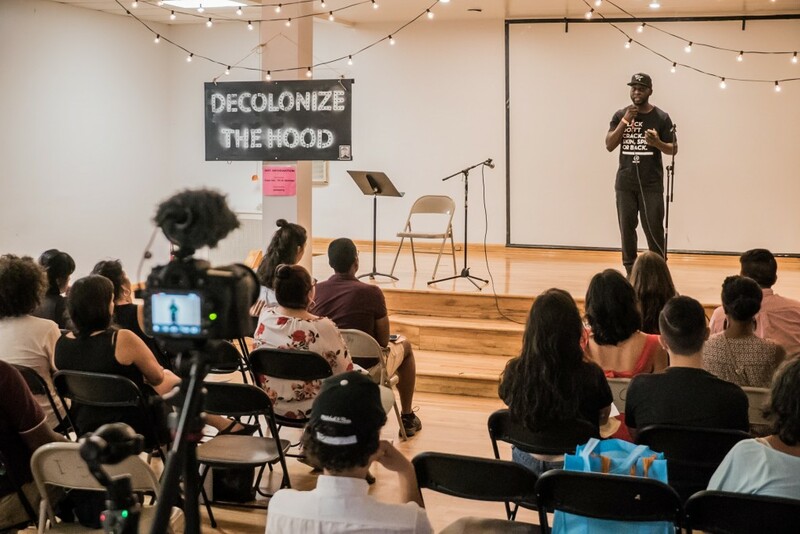 This free event is an opportunity to connect with neighbors, share our love and concerns for Bushwick, and plug into local activism around gentrification and housing. View more photos from “Bushwick Love Letter” Roundtable on Gentrification & Housing Activism HERE. 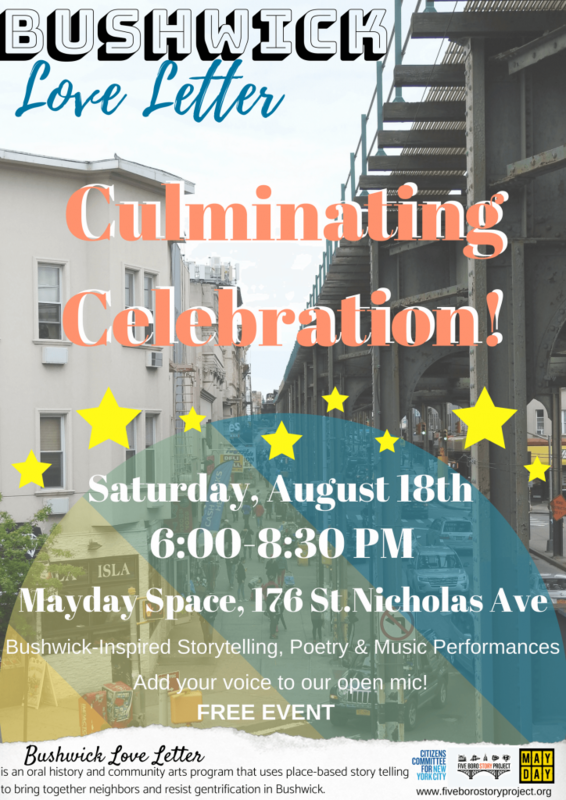 View more photos from “Bushwick Love Letter” Culminating Celebration HERE.